Obama has fired almost 200 top military personnel over the last 5 years. This is completely unprecedented in U.S history and is terrifying to say the least. 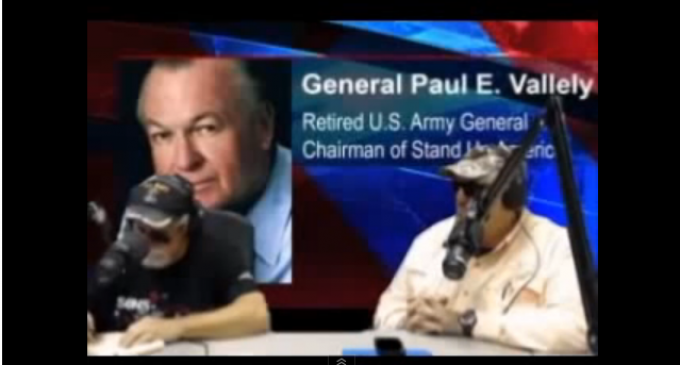 Listen to this interview with Retired Army Maj. Gen. Paul E. Vallely. He states Obama is getting rid of any top commander that disagrees with his socialist takeover. Vallely also claims it’s not only a purging of top officers, it’s also a purging of lower-level personnel, training materials, documents, Christianity and free speech. Other military personnel, such as former Navy Seal Ben Smith, claims that commanders are asked if they will fire upon Americans and if the answer is no, they are fired. The writing is on the wall: Obama has completely trashed our Constitution, stripped away many of our rights, claimed he will write laws without Congress, and has purged our military while Congress does nothing. America is falling to a Marxist takeover. WE ALL KNOW THIS BUT OUR CONGRESS IS CORRUPT AND WE ARE STUCK WITH A CORRUPT DOJ THE ONLY ONE SPEAKING OUT ARE THE NEWBIES IN CONGRESS WE NEED MORE OF THEM GOD HELP US. This administration is destroying the US and all it stands for, he is throwing away all that out forefathers fought for and we the people are letting him get away with it, lets fight back and replace every congress men and get our country back. BO’s OK with muslims in the military though. Man, is he still stoning up? At least he isn’t executing them like Stalin did. He purged them, then …. the Nazis attacked. Oh well, millions of Russians died in suicide attacks ordered by Commie officers,who didn’t know a tactic from a kielbasa. Wonder what will happen to US? What a bunch of knuckle dragging, arrogant, ignorant, mindless, poorly educated/unschooled, child-like, easily led, idiotic, brainwashed, low life, stupid, moronic, dumb, trashy fools have the right to express their opinions on Facebook. Couldn’t find America on a map and yet they have rights to free speech? These are the ‘patriots’ who make ALL American look like idiots in the eyes of the entire world. Colin isn’t that a part of the buttocks area, if you dont like it then just leave it.